We love the combination of the vintage tin and modern graphic! 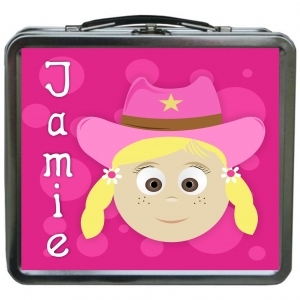 Send your child to school in style with a personalized Little Me lunch box. 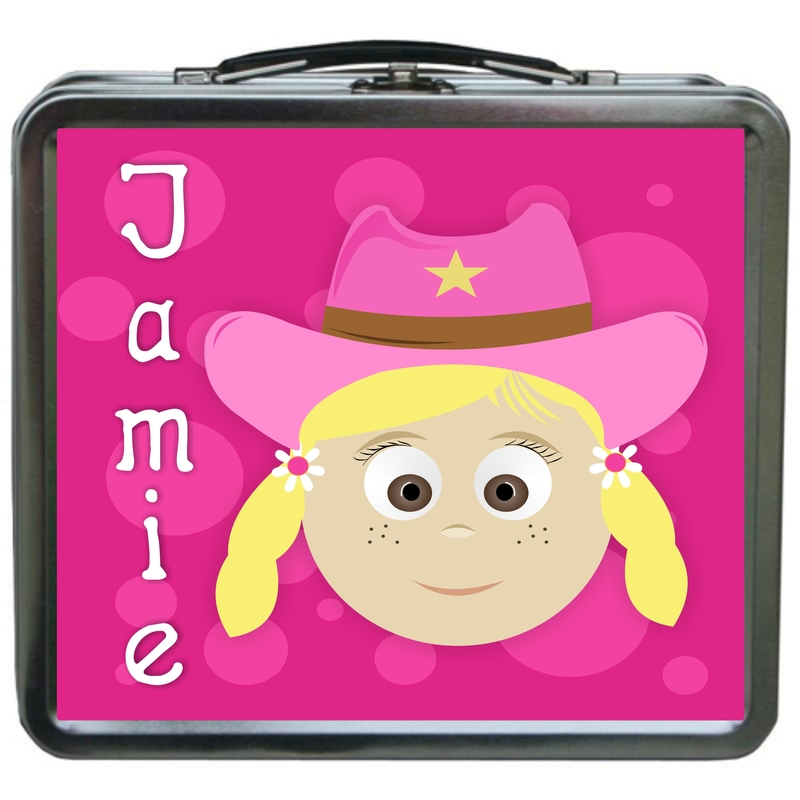 Our lunch boxes are also great for storing art supplies or other small toys. Lunch box measures 8"W x 4"D x 7"H. Made in the U.S.A. Chalkboard on the inside lid lets mom send a love note or reminder from home.